Perfumery has come under much scrutiny lately, with exhibitions focused on its merits and implications, critical writing on the subject, a tightly knit community of perfume aficionados. 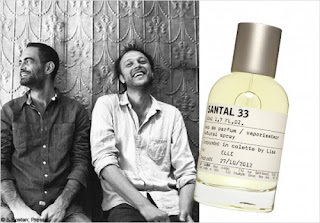 Many believe that the meticulous care involved in creating a perfume and the sensuous pleasure it offers elevates perfumery to the realm of the arts, even accepting a more "pop" element to it, much like cinema or illustration can be; others propose that the lack of a solidly built theoretical foundation behind it, with a theoretical literature to support it, is reason to refute this categorization, insisting that perfumery is a craft with a refined perspective. 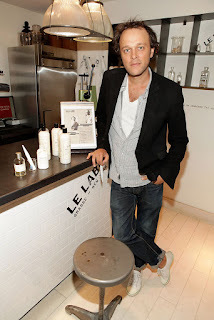 I had the chance to interview Fabrice Penot, co-founder and art director for niche perfume brand Le Labo whose scents have often fallen prey to scrutiny on these very pages, and among other things we discussed this pertinent but perennial question to which he kindly answered in detail. Do you, Fabrice, believe that perfumery is an art or a craft? The difference is subtle but poignant. Well, the artistic dimension of perfumery is undeniable to me when the process involves pure creation, meaning when the perfume is not intended to meet an identified need in a market ( in that case, it becomes a product) - That’s why we care so much about the quality of intention invested in the creation. If a perfume is created with the only intention to move, to create beauty, to add a new milestone to the history of perfume creation and eventually achieve these goals, yes i believe perfumery can be considered as a ( minor) art. Yet i understand this concept can be discussed widely. Where your question is interesting to me is in the opposition with craft because there is always always a very fine line between the craftsman and the artist. there is this quote i like that says " a man who works with his hands is a laborer, a man who work with his hands and his brain is a craftsman, a man who works with his hand, his brain and his soul is an artist"
With the industrial production of perfumery, we lost a luxury and soulful moment which happens in the preparation process. At le labo, there is definitively this permanent artistic quest in the process of creation ( whether or not we achieve it), but there is also the key reverence we have in the craft of actually preparing the final perfumes ( or candles ...) once they are created that is key we believe in the final soulfulness of the creations and power they can have on people. There are not lab technicians or sales persons or store managers at le labo; all the souls who work with us are all defined by the fact they do what they love and take pride in doing it right. It is not a job, it becomes a discipline, an attitude towards creating beauty in the lives of people through perfumery. So as far as le labo, perfumery is not "Art or Craft". It is about endlessly trying to achieve both. Art in the creation process and Craftsmanship during the making process is what we thrive for, for the sake of the beauty of our lives, our reputation and the pleasure of the people wearing our fragrances." Thanks for the interview. I am a pretty big fan of these guys work, so I always enjoy what they have to say. On the topic at hand, I agree with Fabrice. It can be both. I couldn't help but nod affirmatively to all said. I also believe there is a fine line between craftsmanship and art. I definitely equate perfumery with other art forms. You have your classic perfumes, romanticist perfumes, modern, lifestyle, kitsch, cutting edge and experimental, not to mention the ongoing links with fashion, as there is with art and fashion. These days it's getting quite site specific with artists adding olfactory elements to exhibitions. I'm off to a perfume and poetry event on Thursday, so there's mixed media going on too!